Sometimes you see an idea and think what a great simple idea. Maybe one day I can use that. Well that is what happened with this very cool gadget. You know when you turn on the hot tap and cold water pours out for what seems like ages? Well this gadget gets around that in a very simple way. 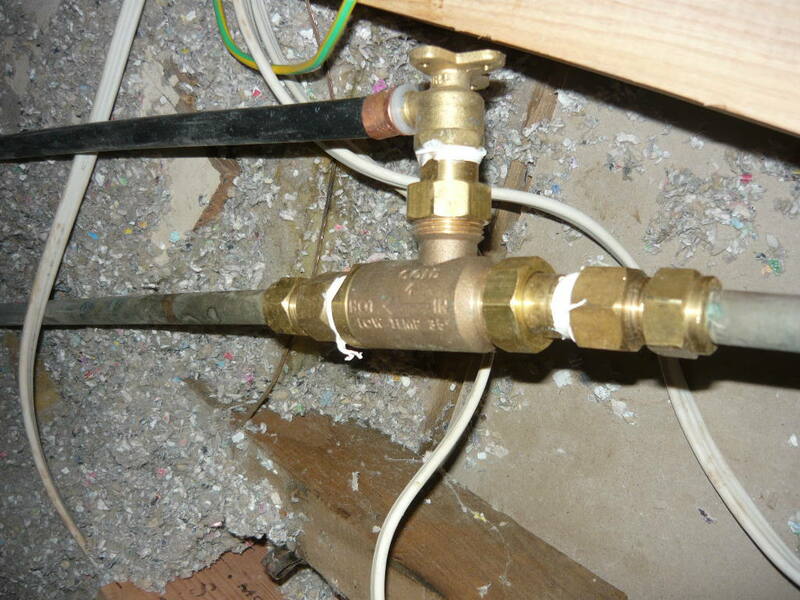 Sometime ago on new inventors I saw a valve that went inline with your hot water system. Every time you turned on the hot water tap, instead of the water that has cooled in the line disappearing down the plughole, (What a waste), it is diverted to a water tank. From there we can use it on the garden. Later on we will add more tanks and put a pump inline so we can reuse it in the house. The gadget is called an Enviro Save Water System. There of course is a bit of a story attached. 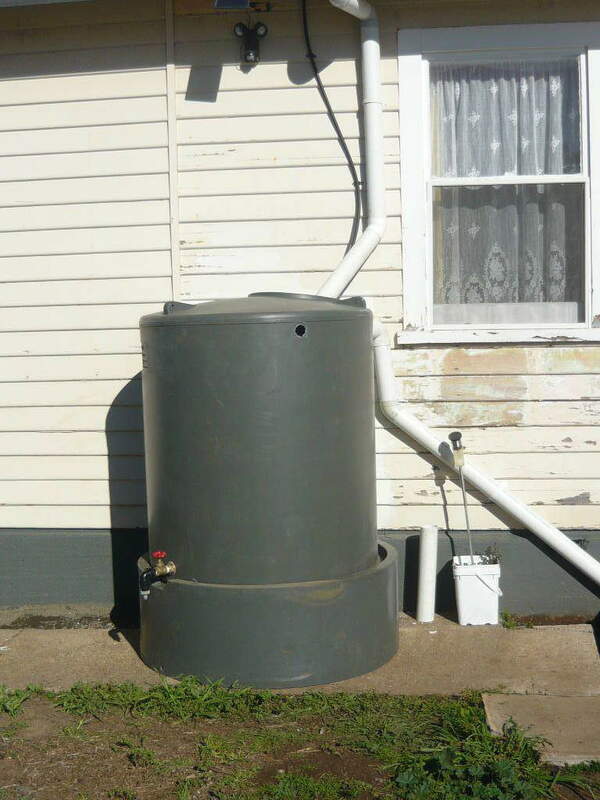 Firstly we did not have a water tank so we ordered one from the only tank works left in Launceston. A slimline 2200 litre corrugated steel tank made from Aquaplate with a 20 year warranty. Fantastic.Then we read the warranty. If water that has been in contact with copper pipe comes into the tank then the warranty is voided. An email to Bluescope Steel later asking for clarification. The answer came back that the water picks up copper ions from the pipe and this creates a reaction with the aquaplate and thus can corrode the tank far faster than otherwise is normal. Oh well a little more research and we found a few places that make poly tanks. We decided on a Global as they were very competetive in price and very friendly. They are made in Sorell near Hobart but we were going to be close to there one day soon for work and the tank fitted in the Hiace so it all worked out very well. A little paint scraping and repainting of our back wall, some downpipe detouring and we were ready for the valve to be fitted. 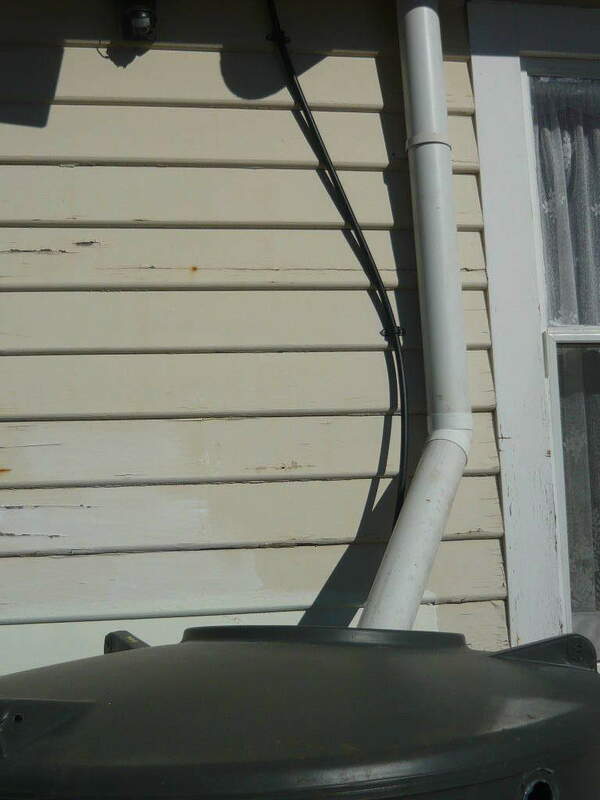 When our plumber, Bart, was fitting the new laundry and second toilet he clambered into the roof and fitted the valve with the outlet coming outside into the poly tank. Now when you turn on the hot water in the bathroom or laundry instead of a stream of cold water there is nothing but a dribble for a while and then out comes a little bit of cold, this is what is in the line still downstream from the valve and then hot water. Took a little while to get used to but now it is second nature to hear the water going into the water tank instead of down the drain! I love this idea. Wow – how much water would be saved if all new houses had to have one of these value – awesome for Australian conditions! -great post!